Things are getting worse. The things that we all considered good and decent are now negotiable. Honesty, truth, and charity have all taken a back seat to agenda and winning. Sometimes it is just enough to make me want to opt out of life. One of my not-so-secret vices is that I like to watch Big Brother. 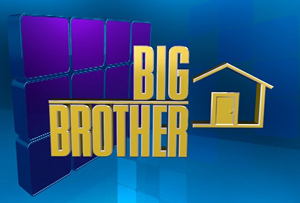 For those who do not know, Big Brother is a television show where a group of people are stuck in a house with each other. Week by week through competitions and creating friendships and alliances, people try to avoid being voted out by the other houseguests. It is sort of like Survivor - except it is a lot cleaner(they regularly bathe) and more social.I have been fascinated with the program because I think it is an awesome psychological and sociological experiment. I always wanted to be on the show and see how I would do. As a viewer, I always sided with the honest and goodhearted people. They always found each other while the suspect and conniving bonded, too. It was usually good versus evil - a formula that always works in storytellling. This season, I have noticed something different. Even the "good" group is bad. I got surprised about how disheartened I was to see that. This is interesting in light of the Republican National Convention that just transpired this week. 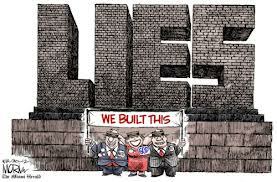 There was a lot of blatant falsehoods that were spouted by the GOP speakers. When fact checkers called them on it, they basically had the response, "We don't care. We have our own facts." My purpose here is not to slam the Republicans, but to lament on how bad things have gotten. The Democrats are preparing for their convention this coming week, and candidly, I don't expect them to be better with the truth. I will be watching carefully and hoping, but not being optimistic. So, dishonesty and immorality are rampant and that just bends me to the ground. And . . . I no longer have any desire to be on the show.